Because we’re on a tight budget, we don’t have a lot of extra money for birthday gifts for all of Nora’s little friends. When we got invited to Miss. B’s birthday party, I was wracking my brain deciding what to do until I decided to spend a couple minutes rifling through my fabric stash. 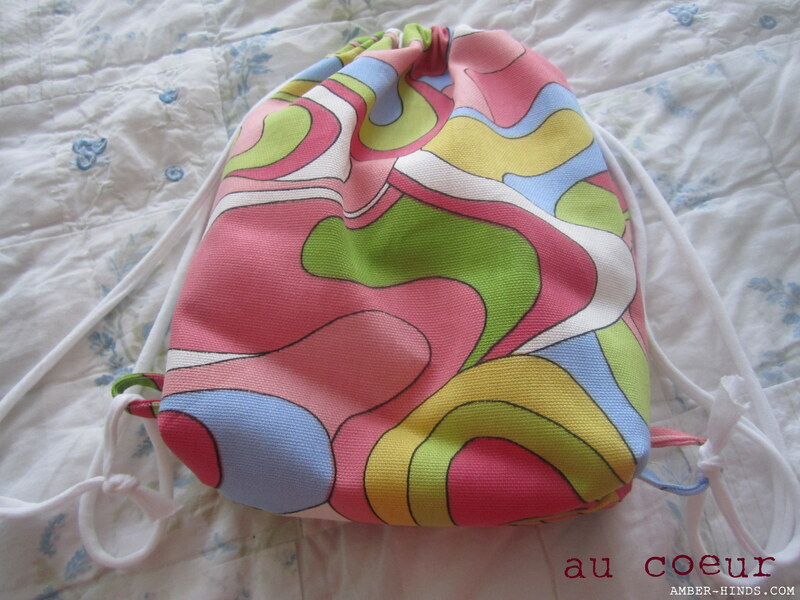 I bought this fun and colorful heavyweight cotton back in college (for who knows what) and never used it. It was completely calling out to be made into a little bag for a little person. I based the bag on Dana’s tutorial (same one I used for Nora’s party favor bags) with a few changes. 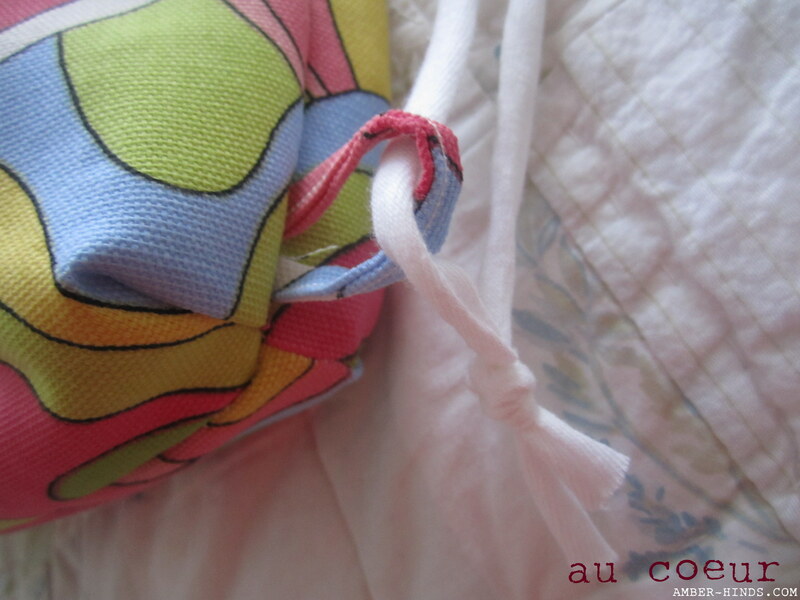 I adjusted the size to fit a small two-year old and added loops in the bottom corners to tie the strings through, which enables it to function as a backpack. I was pretty proud of myself for that little adjustment and Nora was so excited to try it on, that you’ll definitely be seeing another one of these soon! It seemed like the bag needed something in it, so Nora help pick out some clip art and we made a little personalized coloring book. 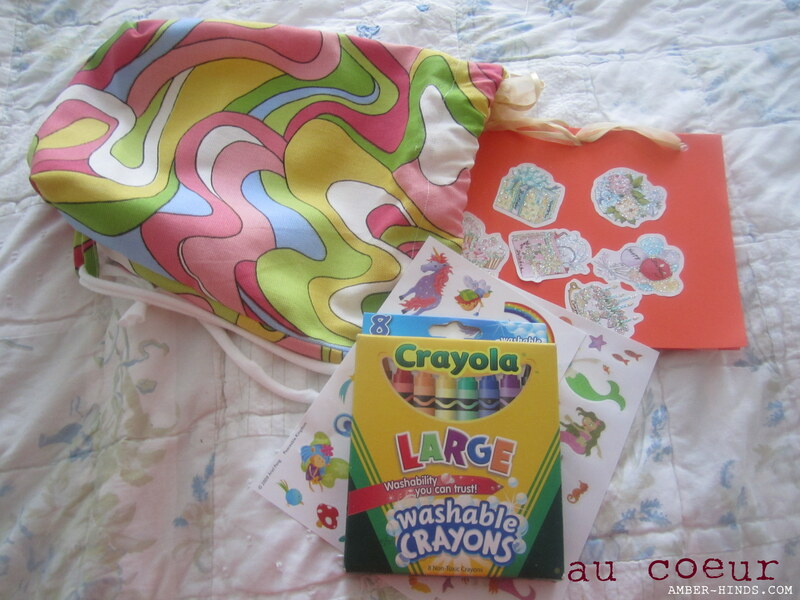 Add a new box of crayons, a couple of sticker sheets, and voila: a mini coloring kit! It’s the sort of thing that would be great to take to a restaurant or any other place where your toddler might get bored or impatient. I love making these bags. They’re so simple, only take about 15 minutes, and they look great. 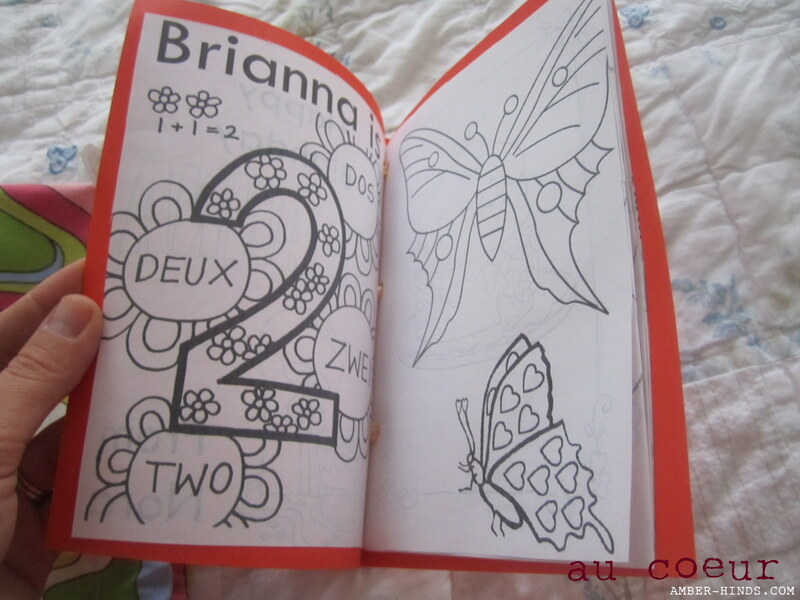 With the addition of stickers, crayons, and a homemade coloring book, they’re the perfect inexpensive child’s gift. I can already think of a few more people who will be getting them!